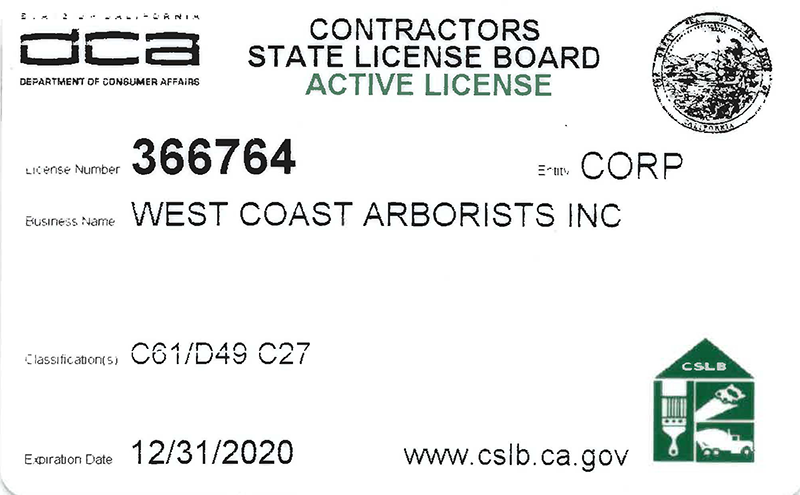 West Coast Arborists, Inc. (WCA, Inc.) was established in 1972. Today, the family-owned company is providing professional tree maintenance and management services for over 275 municipalities and public agencies throughout California and Arizona. 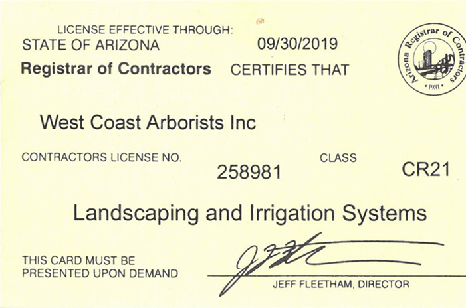 West Coast Arborists, Inc. is a corporation operating in California and Arizona. We are a proud member of the Laborers International Union of North America, LiUNA!. 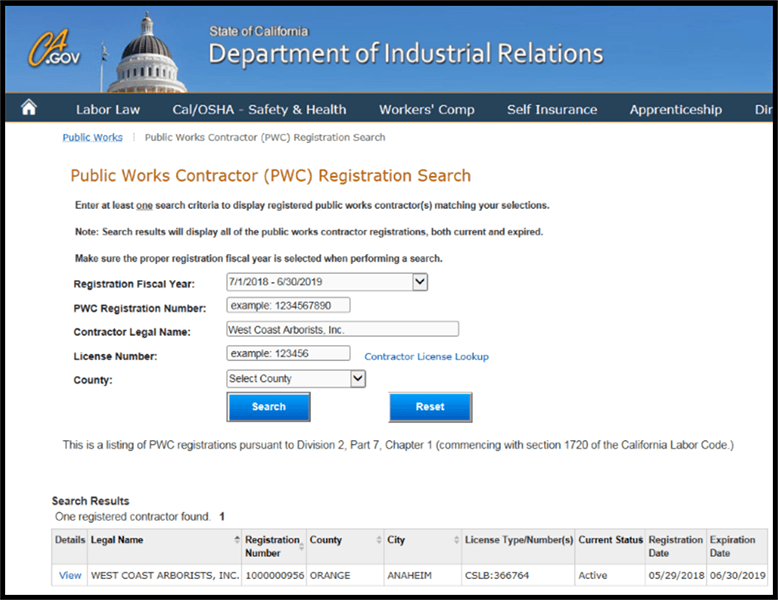 Our company is registered with the DIR and is able to provide your agency with Certified Payroll, upon request. All of our 9 offices have earned the prestigious Tree Care Industry Association (TCIA) accreditation proving WCA, Inc. to be a model tree care company ensuring that professional practices and standards are being met in every department and at every level within our company. WCA, Inc. has been providing quality urban forestry maintenance and management services to municipalities and other public agencies since 1972. We are proud of our reputation and the quality of services we provide. At WCA, Inc. we are committed to developing a professional and skilled work force to ensure we only employ the highest standard of tree care professionals. As a leader in the tree care industry we have career opportunities throughout California, and Arizona. For further information you may contact Hiring Coordinator, Cristina Diaz at 800.521.3714.